I'm always moving around, which can make doing work on the road an absolutely nightmare. Between travel for photography, workshops and the general need for some decompression, I find myself packing for travel much more often than I expect. After years of just shutting off while on the road, I've finally developed to ways to make traveling as a photographer easier. And while this isn't the go to or failsafe way to travel as a photographer, it has made my life significantly easier, with my own workflow. That said, it's really important to mention that I'm no master of this by any stretch of the word. I still often disappear from social media for days, and spend even longer to get back to emails. That said, even with my current shortfalls, I'm leaps and bounds better at it than I was a year ago. Perhaps my biggest struggle with traveling is that I'm a desktop computer guy. While I have a laptop as well, it's hard to compete with the sheer power of my main computer, and my patience usually loses the battle when trying to work on my laptop over my desktop. Before, I would simply hold off on all of my work until I got home, but now I am no longer in a position to do so. So I've learned how to build effective work systems for when I'm on the road that I'd like to share with all of you. You've probably seen these drives in a photographers camera bag or on their desk before. Identified by their sheer ugliness, the LaCie rugged drives are the real deal. What separates them from their competition is the simple design of them. 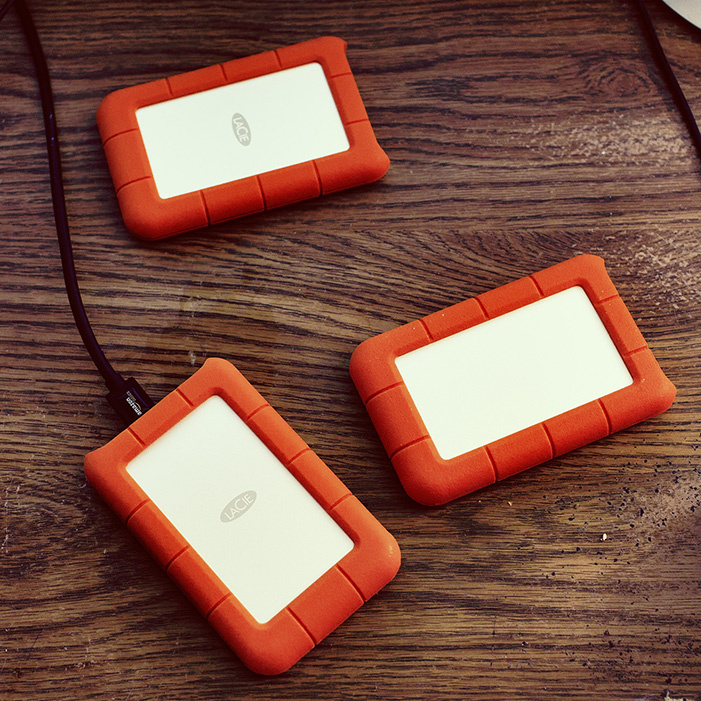 Built with giant orange foam bumpers, the LaCie Rugged drives are designed to take a little bit of a beating. 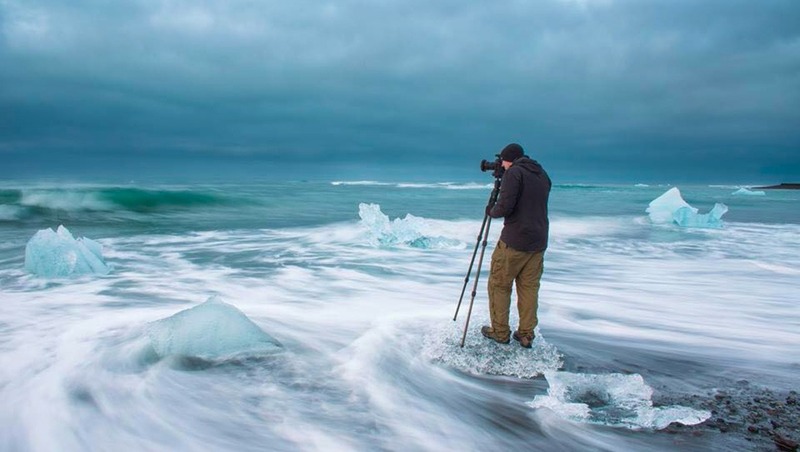 Pair that with their water resistant design, you can be comforted in the fact that these drives are designed for an active life, which makes them ideal for the traveling photographer. For me, I always travel with at least two of them, and use them as my mobile backup solution. By putting all my data on two of them, I'm able to feel a little more comfortable, knowing I always have a backup while traveling. I also make a constant effort to not delete CF cards while on the road to help ensure I don't get any lost data while on the road due to a couple hard drives failing on me. Without fail, every time I'm out of town, I'll get contacted by a previous client from months ago. Explained to me through a series of events, it'll be mentioned how they've lost their final images sent to them. More often than not, the gallery I have in place for them will still be active, and it's just a matter of sending them a link to it once again. However, on the off chance it's not, they used to have to wait for me to return to my studio to dig through the archives - that was until I started using CrashPlan. Certainly I've spoke of CrashPlan on Fstoppers before. With their unlimited cloud storage for only about $5 a month, you're able to backup and give yourself an offsite storage solution for your images and files. Fortunately, I've never had to restore anything from them because of a massive hard drive failure (knock on wood), though I have been able to use their services to pull things from their server when out of town. The process is easy, and I'm able to accommodate my previous clients, even when I'm a few thousand miles away from the office. Not only do I do this when out of town, but I often choose this method over the digging through my closet for archive drives. When working from home, I'm able to use my massive 32 GB of RAM, 4GB GPU monster of a computer. It was built for video editing (an avenue I have yet to travel far down) but gives me all the luxuries when editing photos. Paired with that is two IPS 29" monitors, which are calibrated weekly using a Datacolor Spyder4 Pro calibration unit, it's impossible to compare to a mobile solution. With no cirection competitor in mind, I've found a new alternative....bumming friends computers for a few hours at a time. When doing this, the most important thing is I want to make sure my color representation is accurate, which is why I bring my calibration system. While I'll still bring a laptop solution to do all the paperwork, email answering and other basic duties of a photographer, I want to use something better when it comes to retouching. The downside with laptops, is the screens just cannot compete with a monitor solution designed for desktops. Brightness is always off, as it's constantly being adjusted, and without many IPS solutions built into laptops, your viewing angle can drastically change the color accuracy. 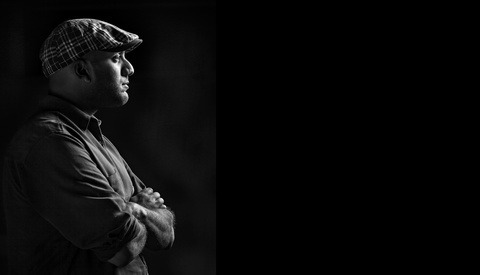 Fortunately, I have many photography friends, and if I'm in town visiting, I can often use their computer for a little bit if I need to to retouch a couple images that are on a strict deadline. For my current trip to Michigan to visit friends and family, I'm using my little brothers gaming computer. While it's not entirely ideal, it still runs better and more effectively than my laptop would, and with some quick calibration, I can get a pretty decent retouching system up and running in minutes. If you've been following my writing over the last couple years, you'll know how on the fence I am with Creative Cloud. At first, I was a skeptic, agreeing with the masses that a monthly billing cycle wasn't the best solution. Upon using it, I fell in love with it, and found myself scolding those who I was once holding pitchforks with. Finally, as karma often does, I was later left in the cold, without many solutions on how to get my paid account up and running in the first place. That said, one thing is true with Creative Cloud - when it works, it works well. And when using someone else's computer, the ability to log into my account, and sync all of my brushes and everything else is brilliant. 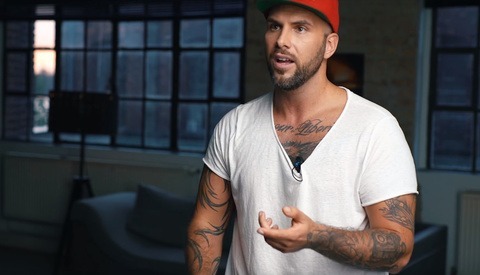 While Adobe is constantly making improvements to create a mobile environment for photographers, nothing gives you more access and functionality than the existence of Creative Cloud. Being able to log in and sync settings to get my Photoshop exactly how I need it to be anywhere is a massive time saver, and has made my life traveling far less headache prone and stressful. An old proverb says "Good Things Come In Small Packages." While the verdict is still out on if that applies to everything, it is very true when you talk about the Wacom Intous tablets. Perhaps Wacom's downfall is the naming scheme. 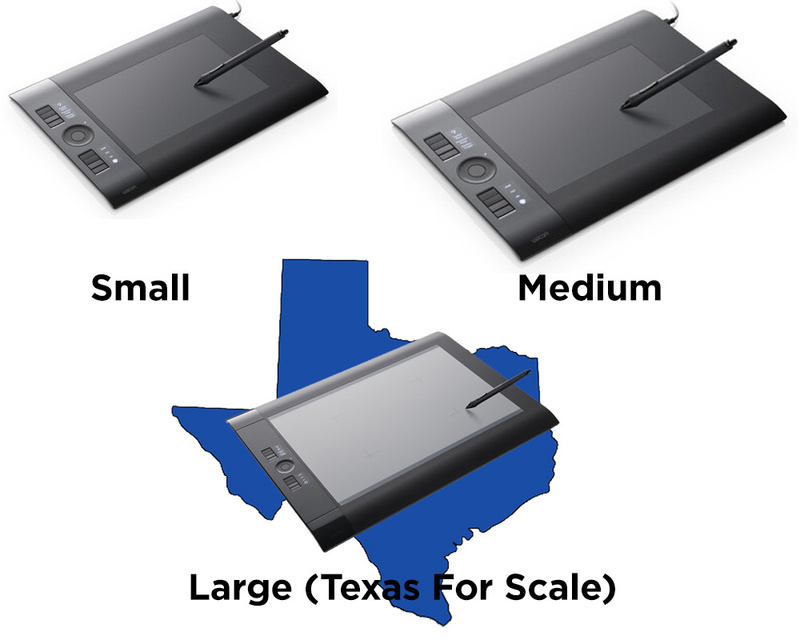 The small tablet seems very medium in size, the medium feels a little large, and the large has it's own zipcode that you need to register with the post office. Not only is the small ideal (in my opinion as well as others), but it also makes traveling incredibly feasible, as it's still a smudge smaller than most laptops. Using the Wacom Intous Small allows you to make precision editing while on the road, without taking up too much space on a carry on. Perhaps the biggest technique I've used and learned from is to simply announce your travel to clients and followers of your work. 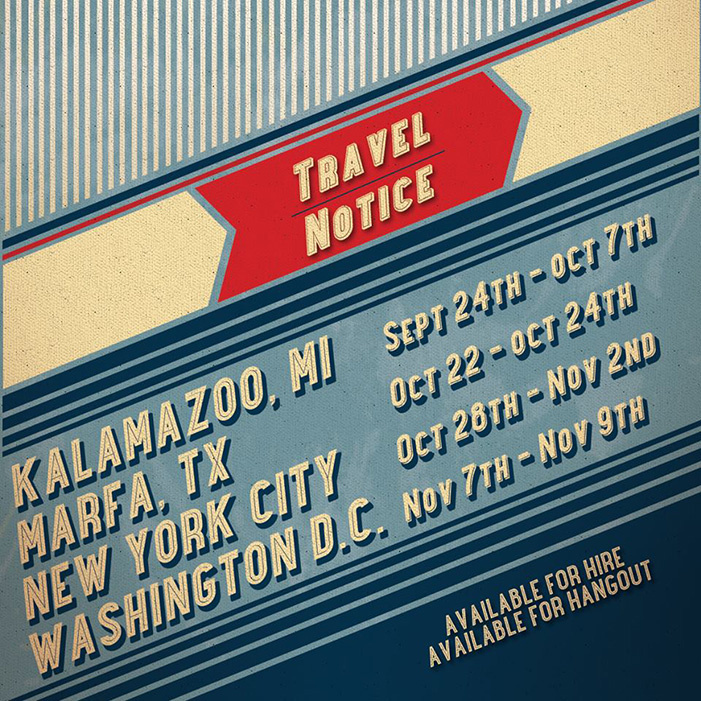 I go so far in this that I'll actually make a flyer to announce my travel. This feels a little like being a rockstar about to be on tour, and can come off as a bit pretensious, but it certainly has its positive effects. For one, it lets potential clients know you're in the cities you're traveling to, to potentially book you for photo sessions. Secondly, it lets my recent clients know that I'll have limited availability. This will hopefully give them some extra patience when I'm unable to answer emails within 24 hours of receiving them. Wait, I gave you permission? Was I drunk? Great article, traveling video is tough since everything weighs so much and I always over pack. I’d love to get down to a small travel kit.